The battery-operated water sensor warns you about leaking water and thus helps to prevent major water damage. 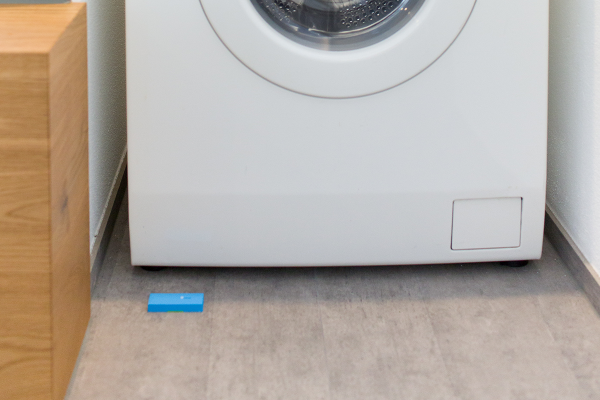 Thanks to Loxone Air technology, this small sensor can be placed anywhere. Perfect for utility rooms, basements, etc. Please note: should the Water Sensor Air become completely submerged in water, it must be replaced by a new sensor. To test the sensor, simply touch both contacts with a wet finger.